She-conomy » Is Facebook vs. Google+ Similar to Microsoft vs. Apple? 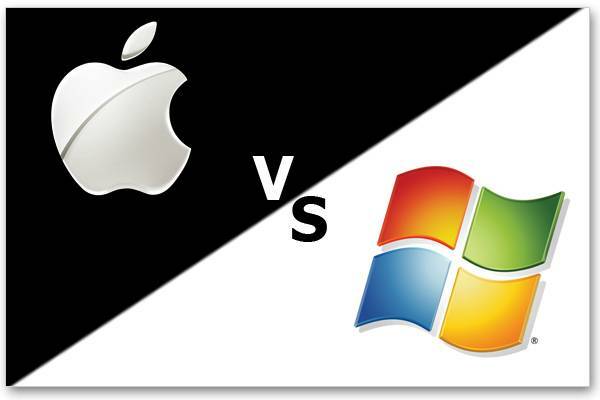 Is Facebook vs. Google+ Similar to Microsoft vs. Apple? The radical impact Google is making within the social space has reminded me a bit of the early days with Microsoft vs. Apple. Today it’s Facebook vs Google Plus. Much like Microsoft, Facebook captured the bulk of the market early on and rapidly grew on a worldwide basis. And even though Facebook, much like Microsoft has been somewhat discombobulated, they both fulfilled an untapped need. Microsoft redefined productivity in the business world. Facebook revolutionized the way we communicate with each other. Both achieved what needed to be done on a functional level. Design is changing the way we talk to each other. So true! And I believe Facebook is about to find that out. Facebook is functional and meets a need. But by incorporating thoughtful and logical design, Google+ takes the social experience to a different level. So who wins? The consumer. I doubt Facebook is going away, but much like Microsoft, they are no longer the only ones playing and will have to step it up. Good competition means choices and ultimately better products for consumers. Google has been trying to get into the social space for quite awhile with little success. But with Google+, I think they have finally created not only something to compete with Facebook (and yes, Twitter,) but something that might even cause a switch. For example, take a look at Chris Brogan’s (social media extraordinaire) new profile picture on Facebook. I was a bit amused, but I’m guessing Mark Zuckerberg did not feel the same. What does all of this have to do with marketing to women? Everything. Women want to share, connect and build relationships. And Facebook has met that need. But they also want simple, clean and sleek. And it appears that Google+ has been listening. As marketers, you need to know social is not a fad or a trend. It is now a way of life and will simply continue to be improved upon – attracting even more women! Are you prepared to connect with the female market? Thank you for mentioning us, Stephanie. The allure of social media is its instantaneous nature. We’ve come a long way from the Pony Express. Advances in design raise the bar for social media platforms. Sites that require users to needlessly click and scroll will find themselves on the unfortunate end of a constant technological evolution.